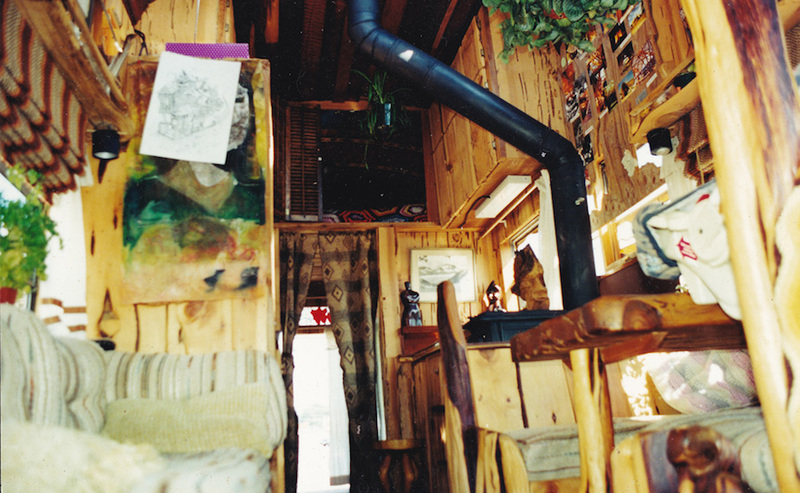 Dear Tiny House Swoon, I love your blog. 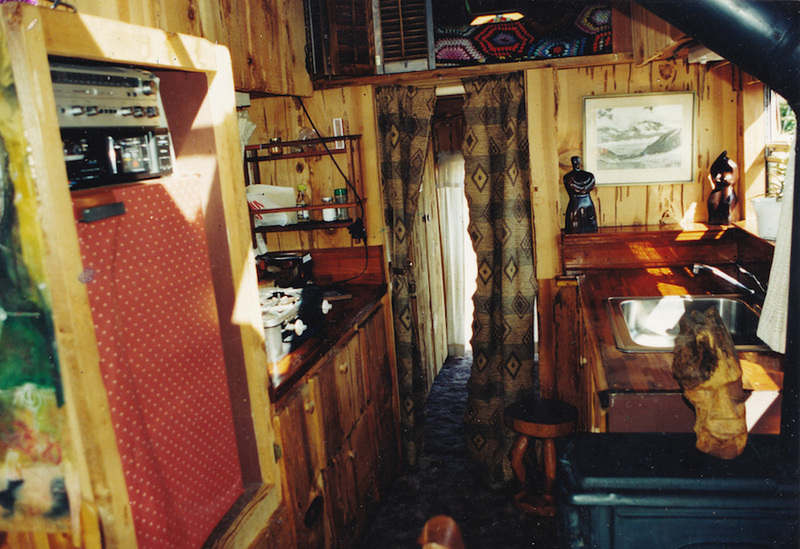 Here is our tiny house. We hope you like it! 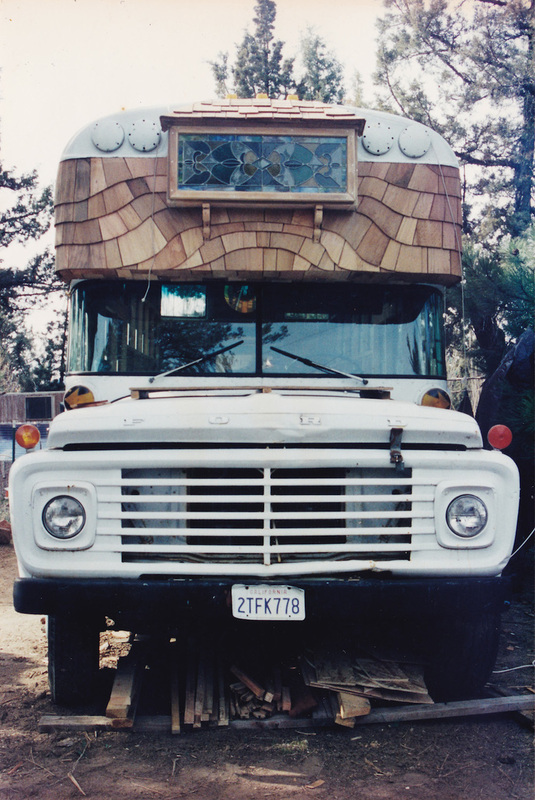 A conversion by Steven Selby carried out in Sisters, Oregon in which most of the materials were secondhand or leftover forest cuttings, predominantly Pecky Cedar. A very enjoyable two year project that brought a smile to everyone who saw it drive by. 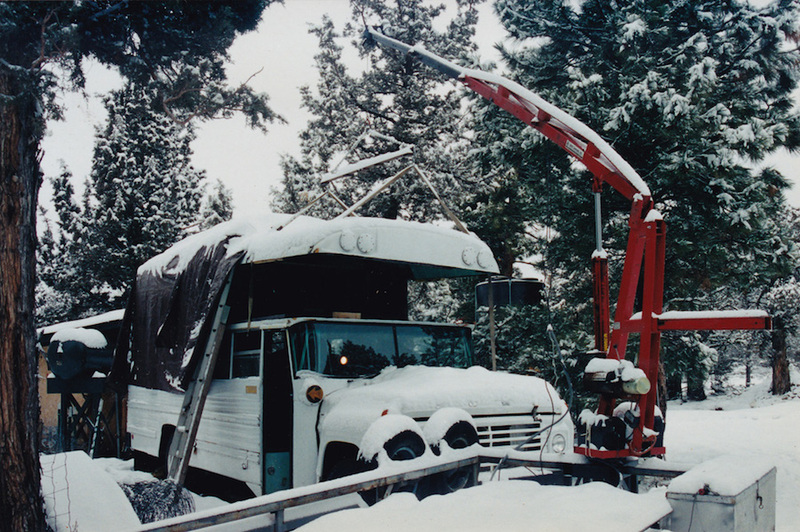 An old school bus converted into tiny living quarters in Sisters, Oregon. Converted by Steven Selby. 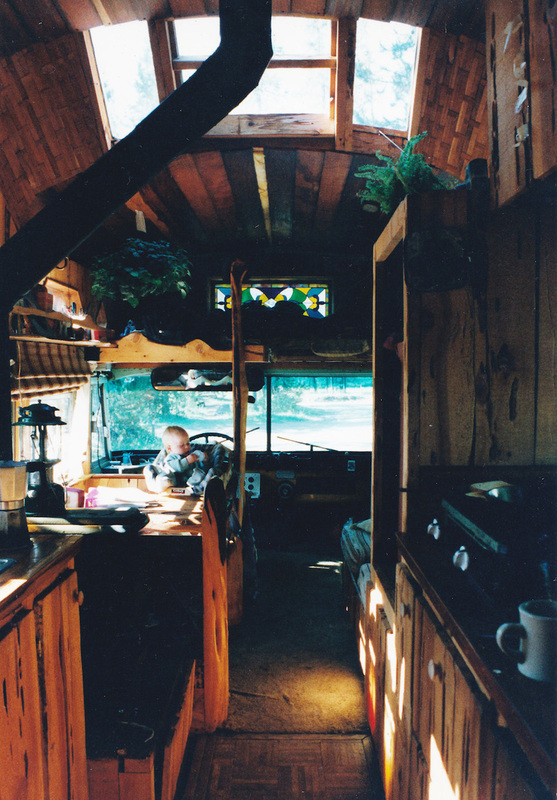 Originally shared at Tiny House Swoon. It’s nice, but it is way too cluttered for me. I am with you on the clutter; I would feel very claustrophobic in there. 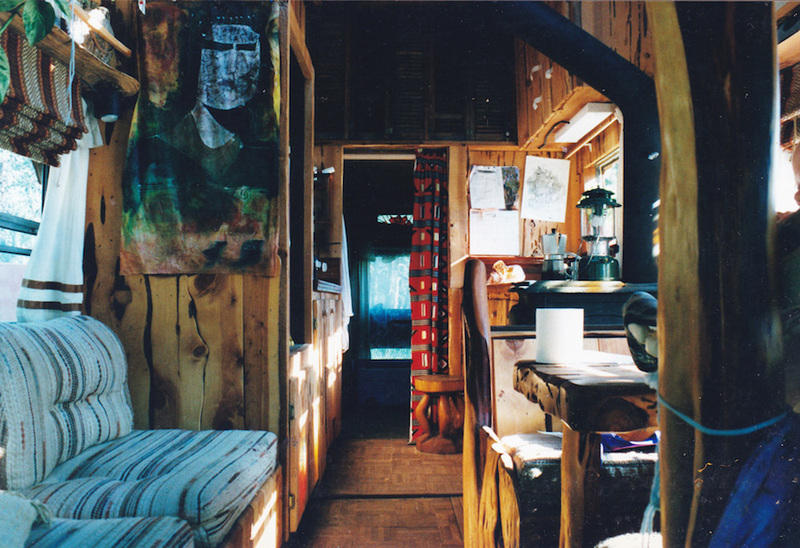 If I were to undertake a bus conversion (which I want to do in the future), I would go for a warm and rustic but simple, streamlined look using reclaimed materials with a focus on open spaces. I am in love with the wood and stained glass exterior, but wouldn’t that wood be liable to rot from moisture? 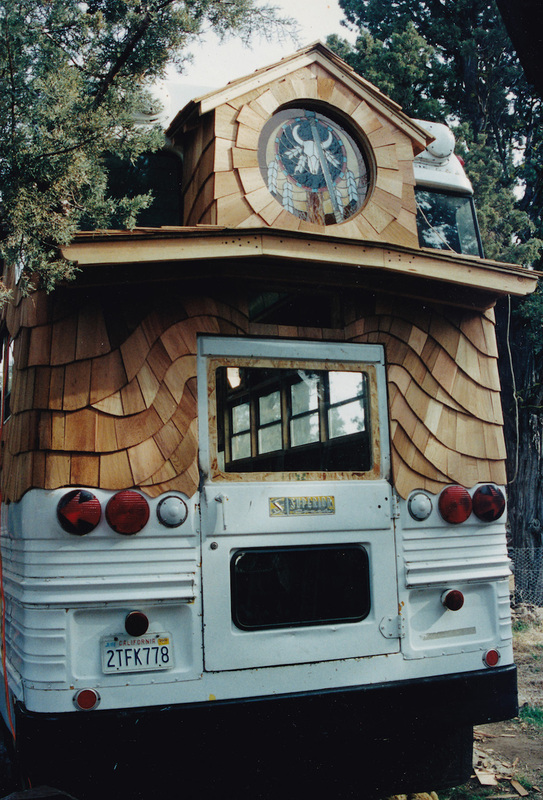 The woodwork incorporated onto the exterior is incredible! Awesome little home! Hi, I love your bus. 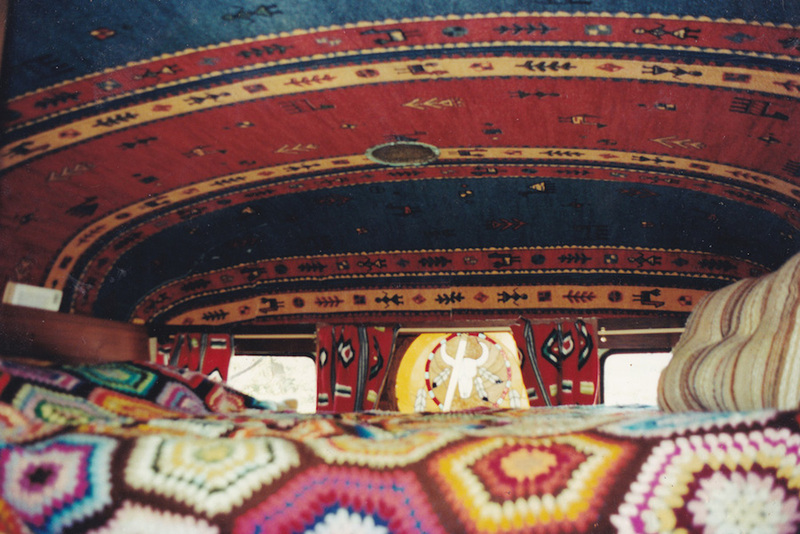 The ceiling above your bed is that cloth? 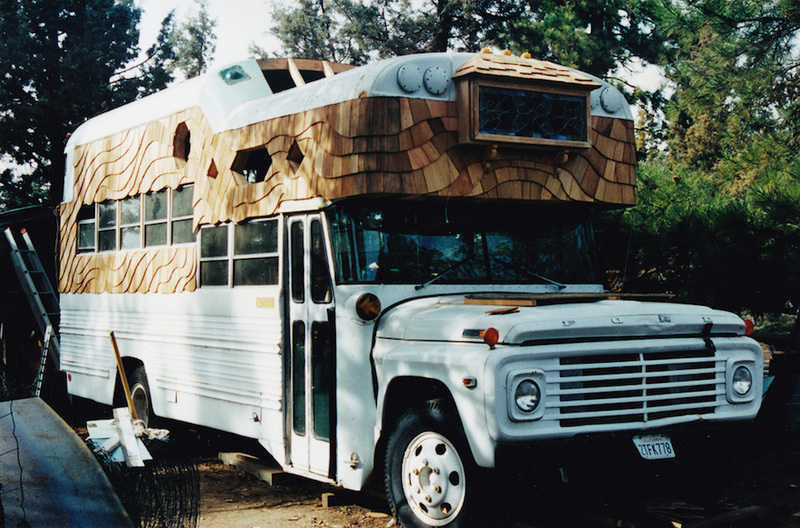 Very creative build especially the way you raised the roof. Where’d you get that mini crane? I’m really torn as to how I feel about this tiny house. On the one hand, it’s wonderful…if we were doing a period movie and needed a setting for the 1960’s. See, I’m old enough that I’ve seen and lived in structures like this and decorated exactly like this, back in the Swingin’ 60’s. I do appreciate the authenticity for that time period but just have to wonder “WHY?”, not as a criticism, just curious. It would be like someone turning their home into an 1820’s farm home; one room I could understand, but the whole house? Your little bus driver is adorable….. I think they might need to turn around though!